In 2008, Patti Murillo Casa’s career as a New York City police officer was coming to an end. After 20 years working in the force, retirement promised to be an enjoyable time. However, before she could start celebrating her new found freedom one of Casa’s worst nightmares came true: she was diagnosed with cervical cancer. After noticing bloodshed in between menstrual cycles, Casas decided to go to the doctor. After all, bleeding in between periods is a common symptom of cervical cancer. The doctor confirmed that she was positive for type 2 b cervical cancer, meaning that the cancer had spread into tissues around her cervix. “In the Latino community, there are so many stigmas surrounding the Human Papilloma Virus that it sometimes becomes an unspeakable subject,” said Casas who suddenly found herself dealing a disease she knew nothing about. Casa’s and her husband researched more about cervical cancer until they obtained more knowledge about the disease. They learned that cervical cancer starts in the cervix and can spread to other parts of the body. According to the Centers for Disease Control and Prevention it’s more common in women over 30 years old. A common way to treat it is with a hysterectomy but in Casa’s case, the tumor in her cervix was too big for that kind of procedure. Doctors told her she would need chemotherapy and radiation to shrink and terminate the cancer cells in her body. It was a long, hard, and painful journey. She underwent 35 treatments of radiation, 7 treatments of chemotherapy and two treatments of internal radiation. “Yeah, I was exhausted. There were times I didn’t even want to go to treatment,” Casas said. But she still went. She fought for her life. In May of 2009, Casa’s was cancer free. Her cancer was gone, but now she was facing another giant, her weight. After beating cancer, the 55-year-old felt entitled to eat everything she wanted no matter how unhealthy it was. Habits like these caused her to balloon up to 238 pounds; She’s only 5 ft. 3. Casa was officially morbidly obese. At first, she shrugged off her weight gain, but when her doctor told her she had high cholesterol, diabetes, and high blood pressure, a light bulb went off. SEE ALSO: Want to lead an active lifestyle? Here’s how. Her oral treatment for her type 2 diabetes wasn’t working; the next step would be to take shots of insulin. Casa refused to live that way. Her mother was diabetic and struggled for 40 years. She wanted her life to be different. Determined to change, Casa started to take her diet and exercise more seriously. She started walking 15 minutes on the treadmill. At the time, that was all she could do. Then she got help with nutrition and began to eat smaller portions of food. 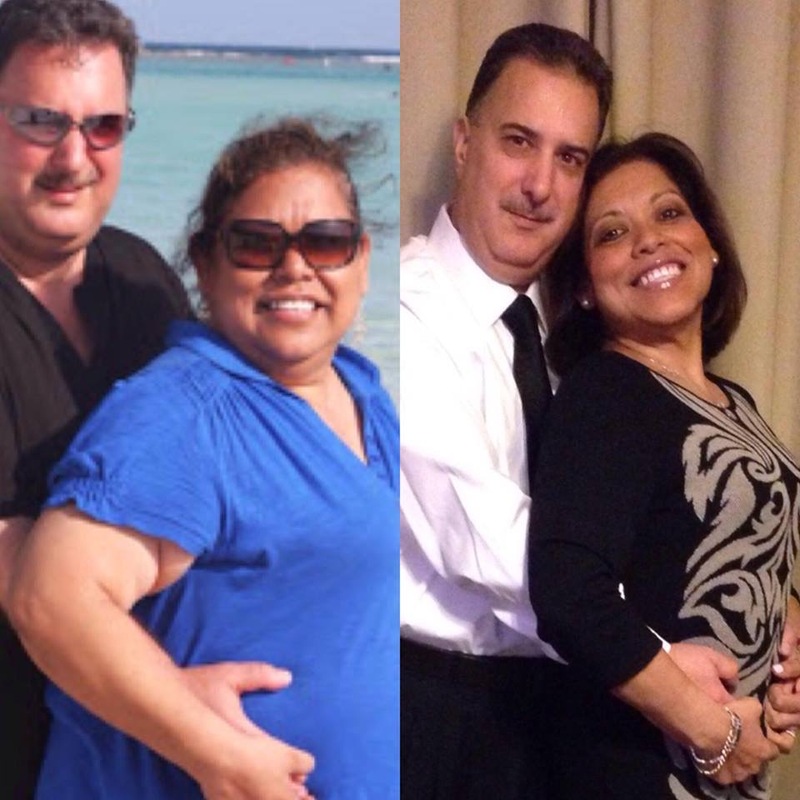 In 14 months she lost over 100 pounds and now she is healthier than she was when she was in her 20’s. She works out everyday and enjoys 5K runs. Casas has vowed to run 113 5k’s to represent all of the pounds she has lost. Her story is one of courage and one of consistency. 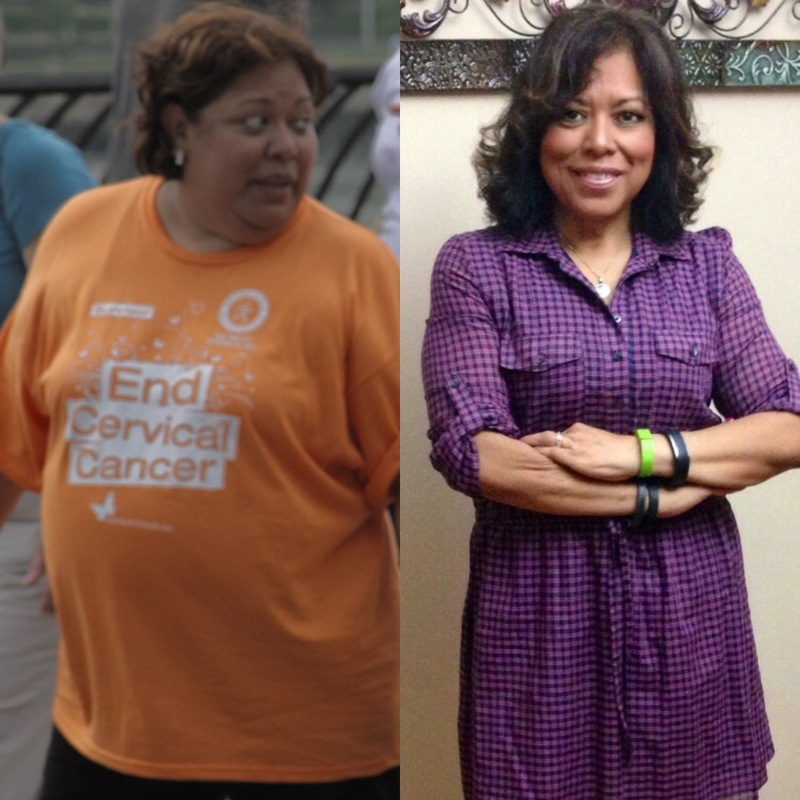 Everyday was a challenge but she fought her fears, is now certified as a spinning and Zumba instructor and is proud of leading a healthy and active lifestyle. She has maintained her weight for two years and is still making strides to be stronger but most of all Casa’s loves encouraging others to fight like she did. Casa forms part of a non-profit organization called Cervivor where along with other women she helps educate women about cervical cancer. She also teaches Latinas about ways to deal with the disease. Casas is closely involved in helping Latinas learn more about the disease because she’s aware that Hispanic women are at a greater risk for developing cervical cancer than women of other ethnicities. She has written openly about her weight loss and her cervical cancer fight on her personal blogs and is always willing to share her story with others in hopes that it will help them in some way. Unlike other cancers, cervical cancer is preventable thanks to HPV vaccinations and Pap tests. When caught early, the Centers for Disease Control and Prevention says cervical cancer is easy to treat. Erica Robinson is a bilingual (English and Spanish) Multimedia journalist in New York City. She received her Masters in Journalism from the CUNY Graduate School of Journalism. She has worked abroad in Guatemala and was a production assistant for Canal 15 in San Jose, Costa Rica. She loves reporting on the Latino community and specializes in immigration issues.